Off the Hook Astronomy: More astronomy, less... hooks? I really enjoyed writing about that astronomy colloquium the other day, so I think I might write more about cool astronomy things here. Maybe I'll do an "Astronomy Monday" thing or something, though that isn't nearly as alliterative as I'd like. Anyway, today is still Monday (for a little while), so this will hopefully be the first of many sciencey posts. On Thursday, November 18th, astronomers reported in Science Express that they had found the first extra-solar planet, called HIP 13044 B, that originated outside of the Milky Way galaxy. It's actually part of our galaxy now, but it originated in a galaxy that the Milky Way cannibalized, that is, ripped apart and absorbed. 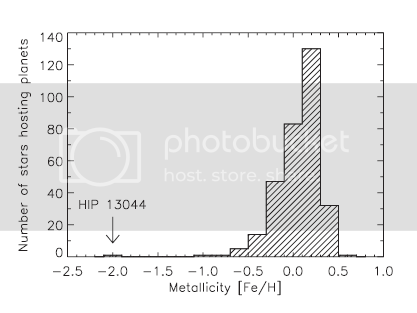 So if HIP 13044 is in its red giant phase, it might have engulfed other planets in the system that were closer in, and in fact, the higher than expected rotation rate of the star seems to indicate that this did indeed happen. In addition, it looks like the planet HIP 13044 B might be about to fall into the star itself as it enters its next phase of red giant expansion. From the wobble of the star, we can tell that the planet has a mass at least 1.25 times that of Jupiter and an orbital period of 16.2 days. And it isn't Monday anymore. Darn. Love the post! Here's to Science! Cheers!! I like how the "Life cycle of the sun" chart is "not to scale".